The International Organization for Migration said it rescued no fewer than 600 people since April 2017 through a new search and rescue operation that targeted migrants stranded in Sahara Desert. There were 50 migrants on the pick-up truck when it left Agadez for Libya, but only six are still alive today,” Giuseppe Loprete, Niger Chief of Mission for IOM, said. During the next two days, 44 of the migrants died which persuaded the six left to start walking to look for help. “We had to drink our own pee to survive,” said the woman now in an IOM camp in Niamey, Niger. “They were too weak to keep going,” she sadly remembers. 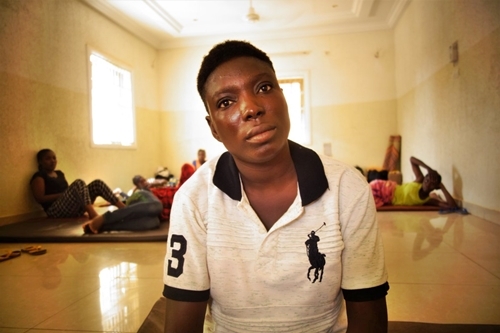 “We buried a few, but there were just too many to bury and we didn’t have the strength to do it,” Adaora adds. “I couldn’t walk anymore. I wanted to give up,” she recalls. Adaora says she had no idea what the route was going to be like, otherwise she would have never left Nigeria. Going back, she wants to continue her work as a nurse. “I think it’s important we all assist each other when we are in need,” she says. “Since the beginning of the year we have been receiving frequent calls to rescue victims who embark on this route,” Giuseppe Loprete, Niger Chief of Mission for IOM, said.